Hello lovelies and I am back, again and this time I promise it's for good or at least for now. I had everything planned out two weeks ago but I had to leave for one week work training in Toronto and everything kind of went silent on here. The good news is I am now fully trained and passed the exam with great result and I can switch my focus back to blogging. 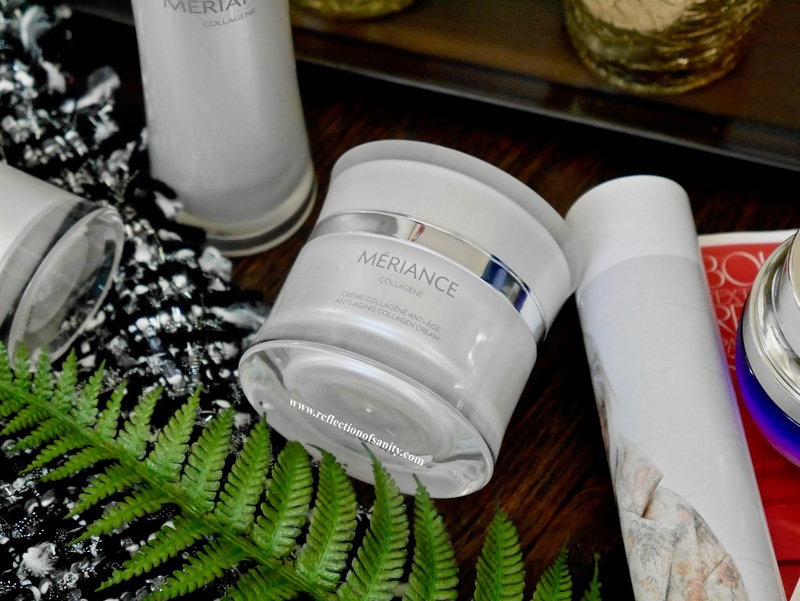 Today's post highlights a new luxury Canadian skincare brand, Mériance Collagène. They are made in Quebec and the products are cruelty-free, hypoallergenic, non-PEG and are without parabens, sulphates, colourants, artificial fragrances or mineral oils. 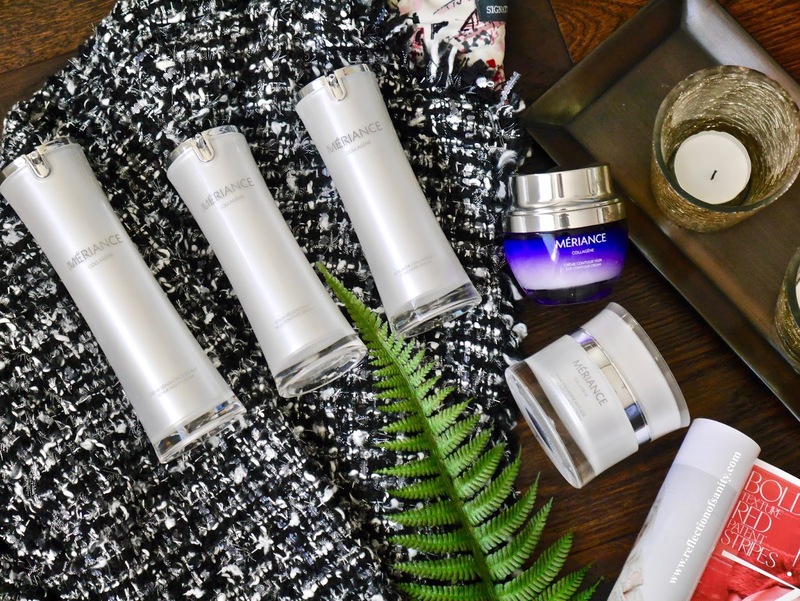 The core of the products are based on marine scientific research which enables the integration of high-performance pure native collagen (99.7%) into its range of products. I was very kindly sent their Anti-Aging Kit and have been testing them for some time and guys, my skin loves almost everything in the kit. That said, I tried looking for the kit that I was sent however it must be a special box as I don't see it listed on the site so I'm listing the individual product below. Where do I even start with these serums? They are lightweight, unscented and absorbs quickly without leaving any tackiness or residue. My skincare and makeup glide smoothly on top and they don't cause pilling. The ingredient list for both serums are also surprisingly short but filled with so much goodness. 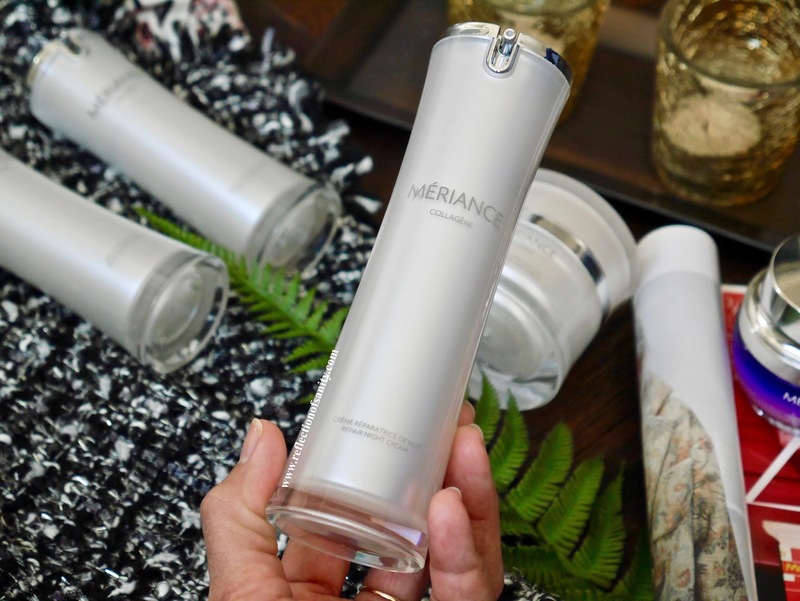 Rejuvenating Serum* has a lightweight, clear gel texture that feels like nothing on the skin while Collagen Serum* is a lightweight, almost runny lotion. You can use each individually but I love mixing both together and have been using them twice a day for the past 3 weeks and my skin feels and looks renewed, stronger, healthier and smoother. The combination of both is like the elixir of youth and it's safe to say, I am obsessed. First of all, this eye cream comes in a massive 50mL heavy glass jar so you get a lot for your money. 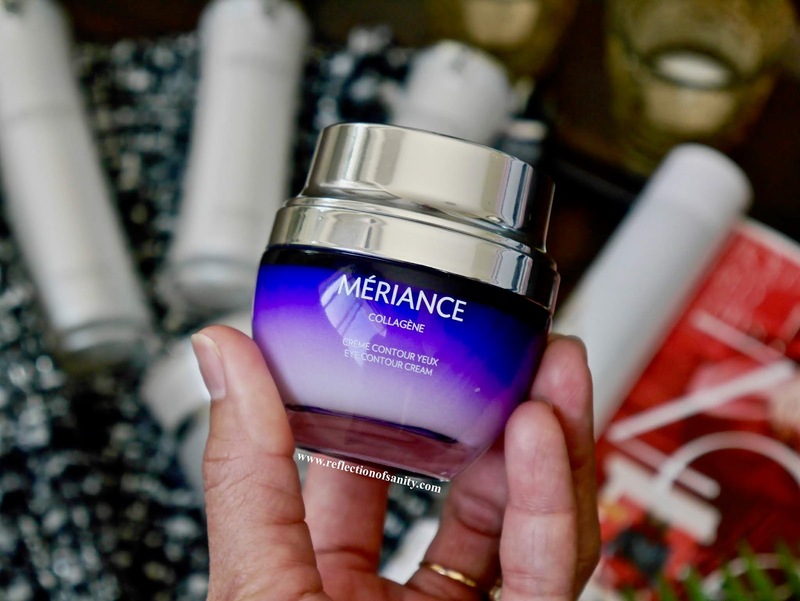 This vitamin and antioxidants rich eye cream has a lightweight lotion texture that smooths over and absorbs into the skin quickly. The ingredient list is again remarkable and this has to be one of the most nourishing eye cream that I have ever tried. Be warned that fragrance is listed but I don't detect any distinguished scent at all. Another thing to note is this eye cream contains almond oil so if you have nuts allergy then it's best to avoid this. After using this twice a day for three weeks, my eye areas look fresher, hydrated, more awake and I noticed my fine lines look much softer. 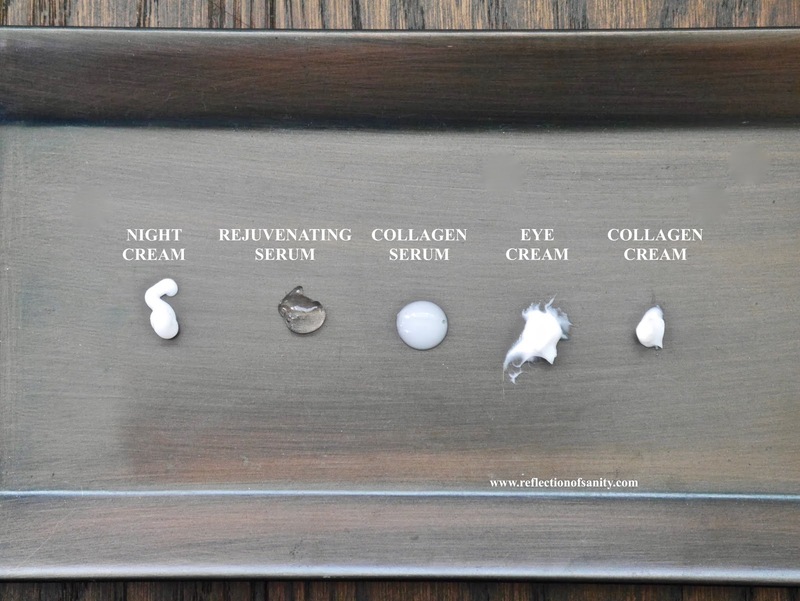 I will definitely consider repurchasing this eye cream however I only see it available in a set (see here). If it's ever available on its own then I would be more than happy to repurchase. Hands down one of the best moisturizers for Summer or combination - oily skin lovelies. This cream is thick but it dries down/absorbs almost instantly on the skin. Silicone is listed in the ingredient list however I personally don't mind it in my skincare but if you do then you can skip this review. The blurring effect that I get from this moisturizer is remarkable and it leaves my skin looking smooth and plump. It leaves a filter-effect to the skin and my makeup wears beautifully on top. I do think this is best for my dry-normal mature skin during Summer as I don't think it would be moisturizing enough during the colder season. After almost a month of using it every morning, my skin looks almost flawless and I love the radiance that I get from it. Repurchase? As much as I enjoy this cream, no because I have others that perform equally well or better but with a smaller fraction of the price. Last but not least, the Night Repair Cream* which comes in opaque plastic pump bottle just like the serums. Unlike the Anti-Aging Collagen Cream*, this doesn't have fragrance in it. The texture is a light lotion and just like all the others products, it absorbs quickly into the skin without any tackiness or residue. I must admit that it took me a while to fall in love with this night cream because initially I find it to do nothing. It took almost two weeks for me to finally noticed results and wow, I have been reaching for it every night and I am head over heels in love with it. It's light but moisturizing and my skin seems to drink it up. Every morning I wake up to the smoothest, plumpest and most refreshed skin and it looks like I had the best facial and I must say, it's addicting. Will I repurchase? As much as I love it, I will have to wait and see how it performs during the colder months. I have a suspicion that it will not be moisturizing enough but if it is then I would repurchase within a heartbeat. 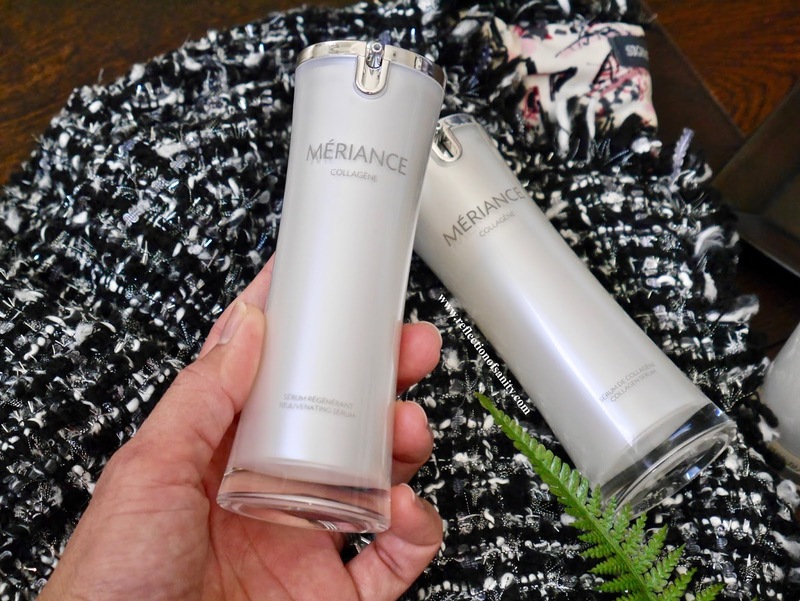 This has been such a brilliant journey of discovery with Mériance Collagène and frankly I couldn't wait to discover more from the brand. I love supporting local Canadian brand and I will definitely be purchasing other products to try in the future.